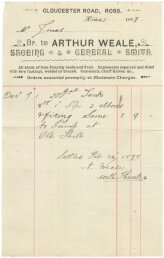 Arthur Weale was a blacksmith & metal worker based in Gloucester Road specialising in manufacture and repair of iron fencing and agricultural implement manufacture and repair. The receipt was for the supply and fitting of 1 x pipe and 2 x elbows to a pump. 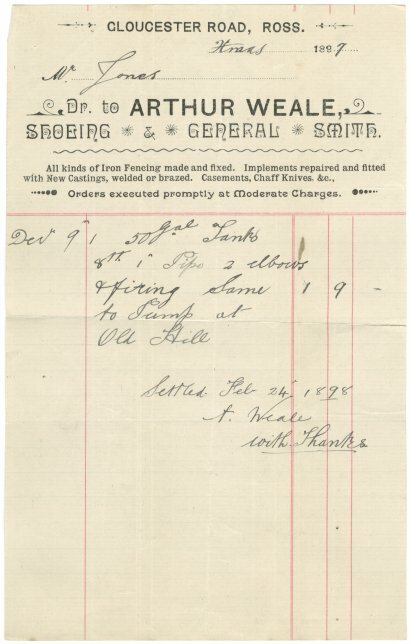 This receipt dates from Christmas 1897 and was settled on 24th Feb 1898. 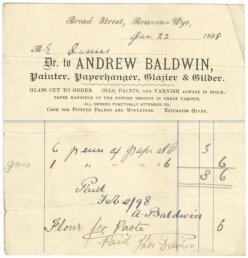 Andrew Baldwin was a painter, paperhanger (wall paper hanger), glazier and gilder based in Broad Street. 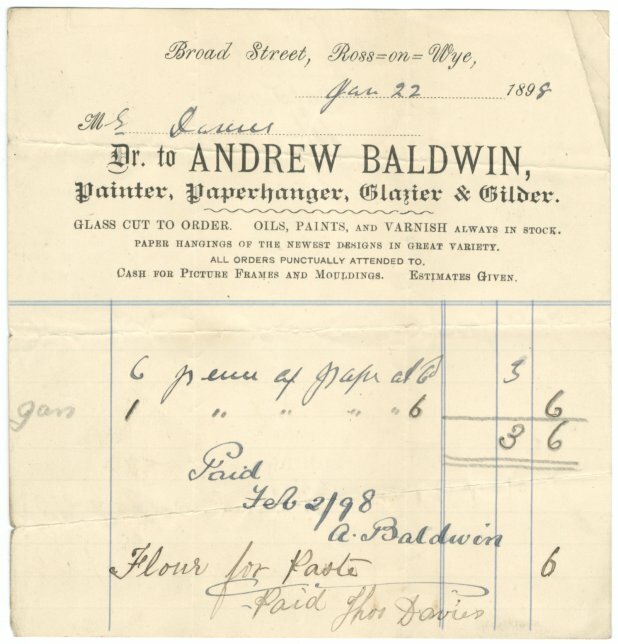 The receipt was for the supply of several pieces of wall paper along with the flour used to produce the hanging paste. 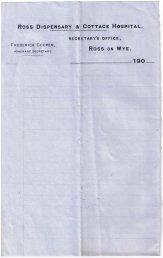 This receipt dates from 22nd Jan 1898 and was settled 2nd Feb 1898. 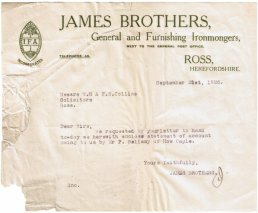 At this time Frederick Cooper was the Honorary Secretary of the Ross Dispensary & Cottage Hospital. This item dates from around 1900. 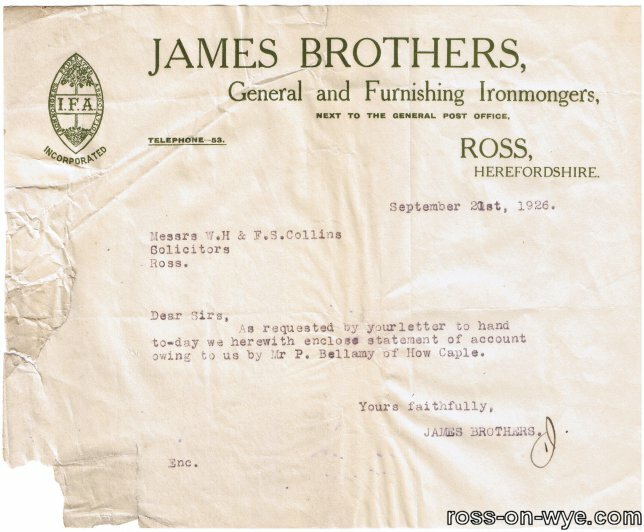 James Brothers were General and Furnishing Ironmongers next to the General Post Office on Gloucester Road. 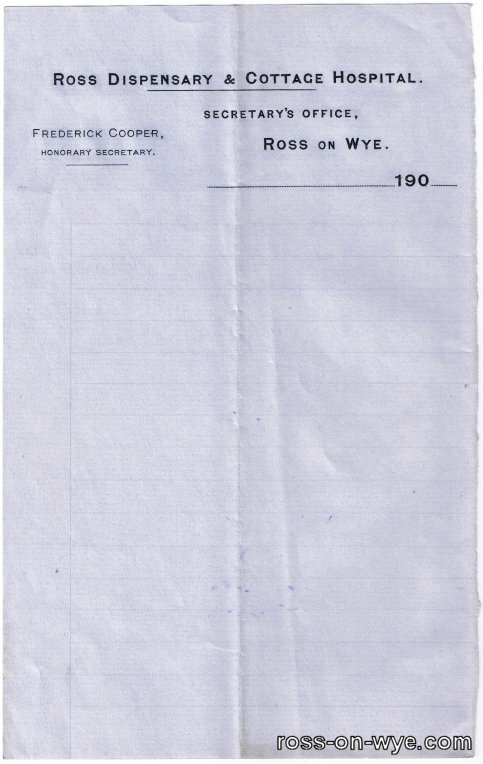 This is a letter in response to a hand delivered letter from W.H. & F.S. Collins who were Solicitors regarding an account held by Mr P. Bellamy of How Caple. This item dates from 1926.